During decade following World War II, engineers discovered that, by sending an electric arc through a pressurized gas passing through a nozzle, the temperature of the gas can be raised so high that the gas becomes a plasma. That plasma can be used for cutting metal—and we call it “plasma cutting” today. What is a plasma? As you add energy to matter, it moves from a solid phase, to a liquid, to a gas, and finally to a plasma. In a plasma the electrons are stripped away from their atoms, becoming free to move as an electric current. The plasma is produced from a gas that has been both energized and electrified. 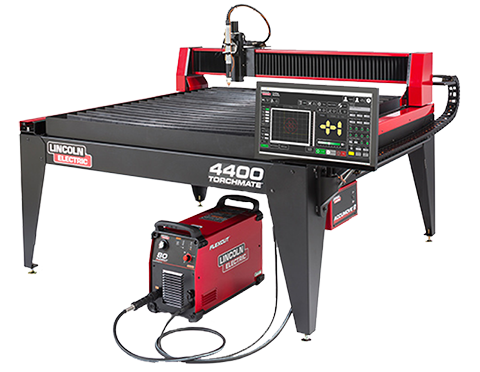 From this fundamental discovery, the very foundation of the Plasma Arc Cutting (PAC) process was born. It is possible to control the plasma cutter’s extreme temperatures (up to 36,000º F) because the high-pressure gas flow used in the plasma cutting nozzle creates a cooler layer of gas (below plasma energy) along the nozzle wall. This cooler gas sheath around the plasma not only helps to protect the nozzle, it also helps to constrict, control, and direct the high velocity plasma—so it can cut the metal it is focused on. Because the plasm cutter produces a current-carrying arc and because the metal being cut is a conductor, the metal itself becomes part of a complete circuit when the current returns to the arc generator. As the electric current passes into the work metal at the very tip of the focused plasma stream, the high energy of the plasma is transferred to the metal, raising its temperature above its melting point. Additionally, the small orifice of the nozzle causes the flow of gas to speed up and swirl as it becomes expanding, energized plasma. This causes a “jet- effect,” which blows the molten metal away, down through the work metal, leaving a narrow kerf behind in the workpiece. 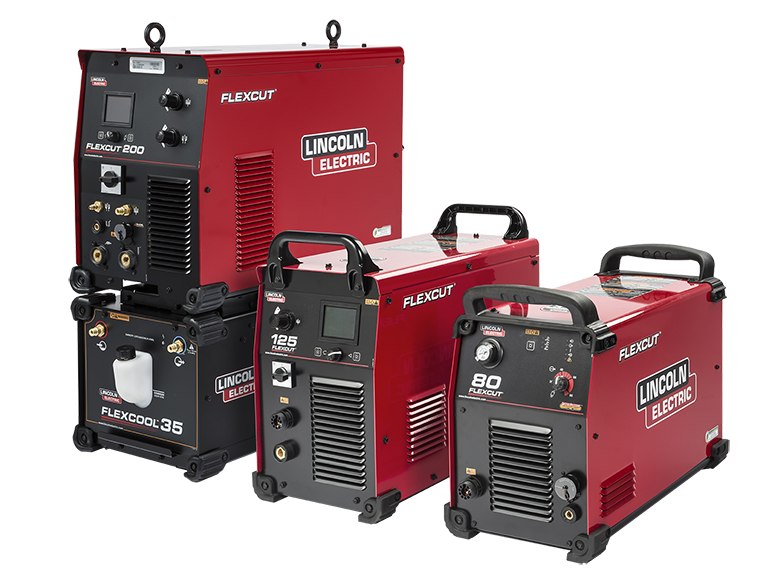 Over the years plasma cutter equipment has improved and continues to compete well with other metal cutting processes. New nozzle designs with greater arc restriction, improved gas flow control, and the ability to generate a consistent arc power have resulted in designs that pack more plasma density into the arc. This greater density produces higher quality cutting at greater speeds. While many operations can be performed with a hand-held plasma torch, huge gains in productivity have been achieved by combining computerized machine motion controls and part design software. 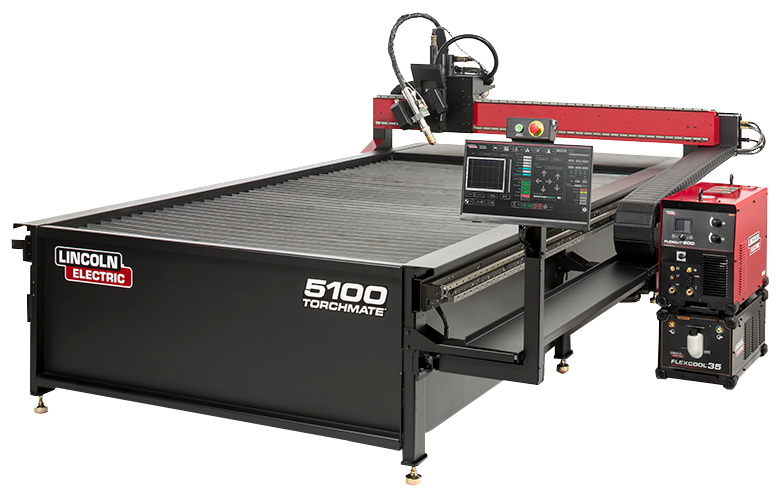 The CAD / CAM plasma cutting systems available now are extremely practical and affordable. This represents the trend today and the future of plasma cutting.